JUPITER – John Landry knows what it’s like to be bullied. “I was picked on from about the third grade through high school for being a skinny kid who was not into sports,” said the now 47-year-old police detective and member of First UMC, Jupiter-Tequesta. 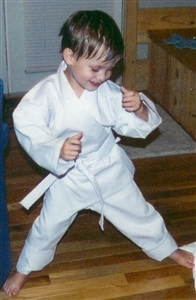 Those feelings of isolation and powerlessness as a youth led Landry to become a lifelong student of martial arts, including tae kwon do/hapkido, in which he has achieved black belt. As a former volunteer in a Salvation Army martial arts program for at-risk youth, he saw benefits that prompted him to launch the Methodist Youth Martial Arts Ministry at his church more than a year ago. Landry has modeled his program after the Salvation Army’s Red Shield Warriors/Blood and Fire Federation, a Denver-based Christian martial arts program that secures instructors on a volunteer basis. Students do not pay tuition or fees. “Many of the students I taught at the Salvation Army were homeless, living in cardboard boxes under the bridge and some battled drug addictions, even coming to class high,” recalled Landry, who holds a doctorate in criminal justice and also teaches at Florida Atlantic University. 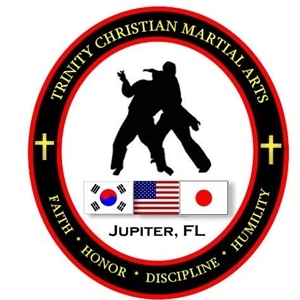 Thus, Methodist Youth Martial Arts Ministry is free and open to all members of the community regardless of whether they attend First UMC, Jupiter-Tequesta. Donations are accepted and have often been contributed at the most unexpected but needed times. Class is held in the church’s fellowship hall every Monday night. It has drawn up to 30 participants, with about a dozen who attend regularly. Students range from age 6 to senior citizens. Every three to six months, students have opportunities for advancement. With the help of volunteer instructors, Landry teaches across all skill levels, so that the high school wrestlers who attend get just as much fitness, education and disciplined self-control as the 65-year-old grandfather. Every session begins with a Bible passage and prayer. As Landry leads the class through the various skills and movements, he relates them to the passage. Dr. John Griswold, First UMC pastor, said his church of about 450 active members was looking for a ministry to reach out to the community when Landry approached the church board. Church leaders were impressed with his experience and willingness to teach people who couldn’t afford martial arts tuition. He said young and old have responded to the ministry, mostly from within the congregation but with some interest from the surrounding community. John Landry offers free martial arts classes as an outreach ministry at First UMC, Jupiter-Tequesta. For churches interested in launching their own martial arts ministry, Landry recommends finding a certified martial arts instructor who is committed to the ministry and securing the congregation’s support, including an allocation of meeting space and, ideally, some funding. “My church gave me about $200 to start, and that has gone toward buying belts, certificates and supplies like boards to break,” said Landry, who often has kicked in funds out of his own pocket. Now that a core group of regular attendees has been established, the class is exploring fundraising ideas like car washes and bake sales. Landry said the results are worth the effort. 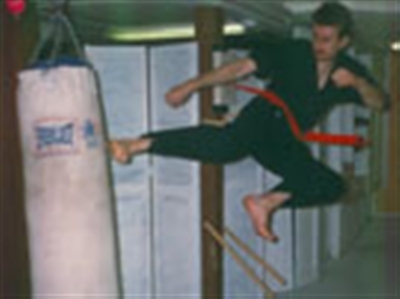 For more information or guidance on how to start your own martial arts ministry, visit www.methodistmartialarts.yolasite.com or contact Landry at (561) 310-9994.